Those who grow up with pets often say they benefited hugely from the experience and thrived in the environment alongside their four legged friend, yet the concept of dogs and children mixing without trouble has become an alien one to the media over recent years. With tragic dog attacks involving children sadly becoming more prominent in our media, it is essential that two points are addressed. The first being that children and dogs can and will get along famously and add value to each other’s lives given the right preparation and approach. Secondly, it is the responsibility of the dog owner to ensure that their dog does not pose a risk to anyone, especially children. 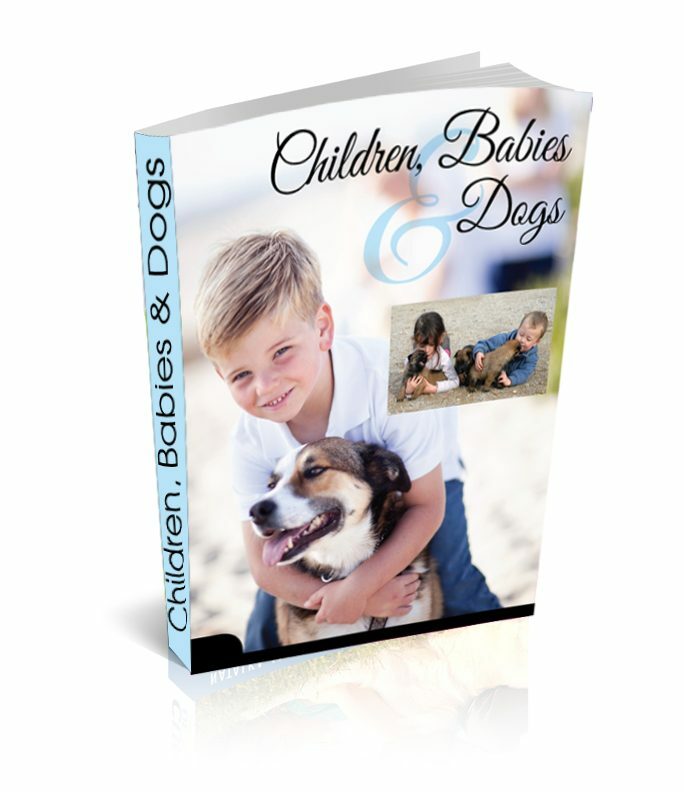 In this eBook we will present to you an authority guide on how to effectively nurture the relationship between children and dogs. What we are seeking to achieve with this guide is to give all the information you require to get an insight and an overview of the various aspects and best practices for developing a safe, happy connection between your dog(s) and child(ren). There is always great concern in the media about dogs attacking children, certainly enough to cause anxiety amongst pregnant pet owners. Integrating your dog with your child should, and almost always is, a smooth experience. All you need is a bit of planning and a good dose of patience. Introducing your new baby to your dog must ideally begin before the baby is born. This will give the dog time to adjust to the new changes in routine and family life that will accompany your new addition. [sws_toggle1 title="Read an Extract of eBook"] The concept of dogs and children mixing without trouble has become an alien one to the media recently. With tragic dog attacks involving children sadly becoming more prominent in our media, it is essential that two points are address. The first being that children and dogs can and will get along famously and add value to each other’s lives given the right preparation and approach. Secondly, it is the responsibility of the dog owner to ensure that there dog does not pose a risk to anyone, especially children. Truthfully, is is more likely that the child is a risk to the dog. parents are sooo stupid, they don’t teach their kids to respect animals at all. These Photos of Dogs Greeting Their Friends (& Other Objects) Will Make Your Day!